When I was invited a couple weeks ago to participate in a panel discussion at Autodesk University on the topic of diversity and inclusion, I jumped at the chance. As vice president of technical services, it's typical for me to be asked to speak about virtual design and construction trends, but this is a topic about which I'm even more passionate. In fact, I once turned down a job because no women participated in the interview process - despite interviewing with a dozen different people and knowing other women at the company. For years now, studies have shown a significant link between diversity (gender, age, ethnicity, etc.) and productivity and innovation. 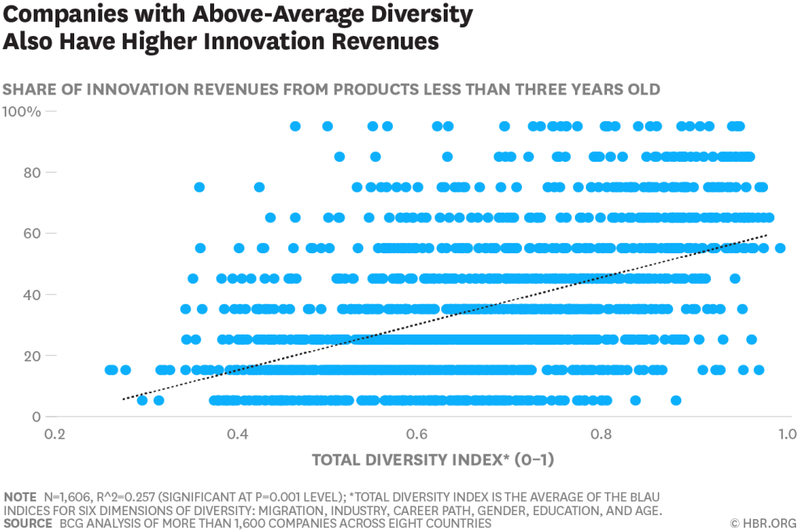 Top strategy companies and publications, like McKinsey and Harvard Business Review, have studied the impact of diversity on business. They all suggest ethnically diverse teams are more likely to outperform those that aren’t inclusive. Further, according to research conducted by The Peterson Institute for International Economics, companies see a 15 percent increase in profitability when they have female executives, yet only 10 percent of companies have a female at the top. Construction hasn’t seen an increase in productivity like other industries, and why should we? Not much has changed. We can't continue to operate in the same ways and expect different results. That can also apply to how we hire and what our teams look like. Women make up half the workforce in the United States and yet, in some industries we still don't have equal representation - not because of discrimination but because women make up a small fraction of the workforce. In construction only nine percent of our total workforce are women, and there are no statistics about women in C-suite positions. The number is so low there isn't enough data to analyze at the C-suite level. We found this to be true when we recently surveyed our trade partners, and the number of minority and women owned firms who responded was so small that the M/WBE data could not be considered valid when segmented out. As a woman in a predominantly male industry, I see myself as an ambassador - for our industry and for other women starting out in their careers. I started my career in architecture and structural engineering before transitioning to construction and was admittedly naïve about the gender gap. Design school was nearly 50/50 male and female. I also chose my first company because a female principal was leading the office, and she helped make the entire company more diverse. So it was jarring to come to the construction side of our industry and experience a much less diverse workforce. I recognize the unique position I'm in as a young female vice president at a large construction firm and the responsibility I have to not pull the ladder up behind me. I want to be an advocate and educator for others. At Pepper, we're using technology to change how we perform construction. Because of this commitment, I'm involved in nearly every project. Through my role with technical services, I'm on the leading edge of our company and our industry. But the technology is just the tool to achieve our goal. It's our teams that come up with the ideas and strategies for problem-solving and innovation. Benchmarking - It can be hard to face the facts, but understanding where we currently stand was a necessary first step. We can’t measure progress without a starting point. This past year, company leadership and human resources took a hard look at who Pepper is - our gender, ethnicity and generational mix. We wanted to start with our real numbers because we want to establish reasonable goals and make meaningful changes. Creating connections - We're looking for ways to promote and give women and minorities exposure, like letting job candidates meet other females at the company. In doing so, we're thinking less about the ladder and instead thinking about roles - and considering new titles and new opportunities. Strategic hiring - As someone in a hiring position, if I'm presented with a pool of candidates that all look the same, I ask for more candidates. The right person should always be hired, but we need to make sure we're including all groups. Do we need to go to minority groups? Recruit at different schools? Consider different majors? Maybe our job postings need to be more inclusive. Could we be missing out on a pool of candidates due to how we position our postings? Creative perks - Pepper has been open to more flexible options and is investing in better benefits and perks for our team. Women often leave the industry if they have to choose between family and work, and these days, men are taking on family roles as well. Strategic teaming - Diversity isn't one dimensional. We considered ethnicity, gender and generations in our benchmarking because we want to create a diverse team on all three fronts. Further, we're starting to use this model in strategic ways, like as we consider how we put project teams together. Educating early - It's important to get in front of students at a young age, in addition to connecting with colleges and universities. Not everyone comes from college but rather, field employees come up through the trade schools and unions. Like many of our peers, we're involved with the ACE Mentor Program, which is focused on scholarships and getting students into college. As a board member, I have advocated for and we're currently piloting options for ACE students to get exposed to our trades. Finally, at Pepper we're trying to educate our trades more on different options; we now have people in the trades wanting to join the office and work in virtual design and construction. Mentoring - When creating a mentorship program or diversity group, it’s important to include everyone. As more women come into the industry, men will be managing them. Likewise, different generations work in different ways. We need to learn and understand the challenges and differences of working with each other. The path ahead isn’t easy. With the shortage of workers, there is opportunity to consider creative options and expand our pool of candidates. The challenge is that it involves first convincing them to go into construction and then to join our team. But if we’re to break the trend of stagnant productivity, it's going to take doing things differently - starting with who and how we hire.